Despite an escalating crackdown on peaceful protest, people in Poland continue to take to the streets and courageously demonstrate against abuse of their rights and threats to the rule of law, human rights NGO Amnesty International stated in a new report. ‘The Power of ‘the street’: Protecting the right to peaceful protest in Poland,’ documents how people are taking to the street in an environment where restrictive legislation combined with heavy-handed policing, surveillance, harassment and prosecution threaten to strangle the right to peaceful protest. 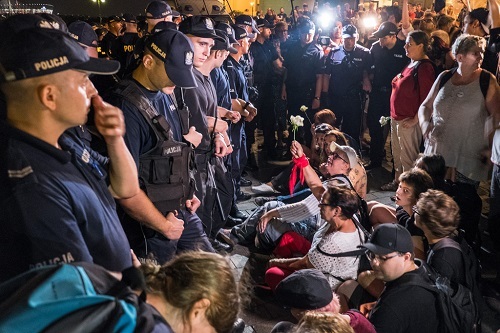 “Protesters’ refusal to stay silent is a testament to their resilience. Polish authorities are threatening peaceful protesters with detention and prosecution, while in some cases police officers have even beaten and mistreated them. Many protesters are also put under surveillance as peaceful protest is increasingly criminalized,” said Gauri van Gulik, Amnesty International’s Europe Director. Since 2016, tens of thousands of people have taken to the streets of Poland to protest against repressive legislation aimed at curbing women’s rights and undermining the independence of the judiciary. Protesters have routinely been met with a show of force and restrictive measures that infringe their right to be seen and heard. Hundreds have found themselves in police custody and facing lengthy court proceedings. In April 2017, an amendment to the Law on Assemblies came into force effectively placing a ban on counter-demonstrations in central Warsaw near where pro-government rallies were held. The heavy-handed enforcement actions by the security forces have been dramatic. Between April 2017 and March 2018, the governor of the Mazowian province banned 36 assemblies in Warsaw. In 2017, the court in central Warsaw received 632 cases against counter-protesters for breaches of the assembly law. This compares starkly with 2016 where no such charges were brought against protesters. The authorities often give preferential treatment to pro-government and nationalist demonstrations over other types of assemblies. The priority given to pro-government assemblies is reflected in the way demonstrations are policed, with harassment or violence by far-right or nationalist groups regularly tolerated when directed at counter-protesters. By contrast, peaceful protesters who challenge the government are often subject to heavy-handed policing actions and prosecution. 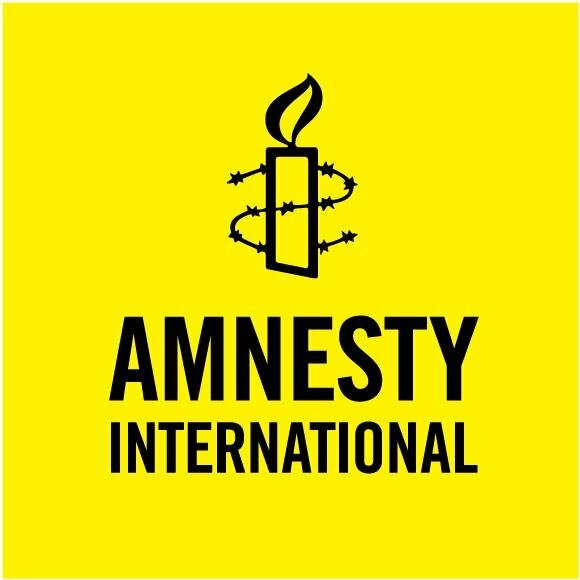 Amnesty International has also documented instances of excessive use of force by the police during protests and demonstrations, with little meaningful accountability for such police abuse. One 60-year-old woman, who participated in the Black Protest against a near complete ban on abortions, witnessed a police officer beating somebody who was lying on the pavement. Before she could intervene, she was struck on the head, allegedly by a policeman. She suffered minor injuries to her skull but the prosecutor rejected her complaint against the police for alleged lack of evidence. In parallel with tightening the laws affecting the exercise of the right to freedom of assembly, the government has vastly expanded the surveillance powers of law enforcement agencies. The 2016 amendment to the Police Act broadened the scope for surveillance, without adequate safeguards, to include such monitoring outside the context of a criminal investigation. There is evidence that surveillance powers have been misused against people engaged in organizing and participating in peaceful protests. The courts have largely upheld the rights to freedom of peaceful assembly and expression. However, this may soon change following the 2017 reforms of the judiciary, which severely undermine the independence of the judiciary by subjecting it to political influence and control. Judges are indeed experiencing political pressures in Poland. Those judges who have refused to bow to it in the wake of the reforms have already reported harassment, including disciplinary proceedings. “Peaceful protest is a right, but in Poland it is under serious threat. The power of the street is a crucial check on the power of the state. The Polish government must protect the right of all those determined to come out to defend their freedoms,” said Gauri van Gulik.